Screenwriting and producing assignments have kept me from posting here on China Film Biz during the past few weeks, but I’ll aim to catch up in the coming days. Much has happened since I last put virtual pen to paper. First things first: the extraordinary box office performance of Life of Pi. The Ang Lee fantasy adventure is remarkable not only for its gravity-defying theatrical run in China, but also for what it reveals about the contemporary Chinese moviegoing audience. Not since Avatar has a film so captured the imaginations of China’s movie literati as Life of Pi, which has inspired more than 5 million tweet messages on Sina Weibo, the PRC’s leading Twitter-like site. The picture is well on its way to becoming only the second U.S. film this year to earn more in China than in North America, and its success underscores a broadening trend of the PRC’s mainstream audience beyond popcorn spectacles to include more thoughtful fare. 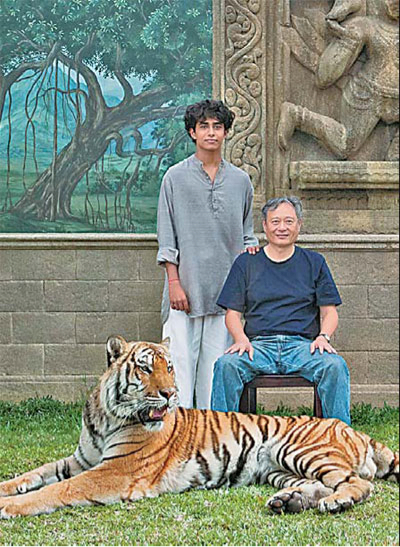 Widely expected before its launch to earn only middling numbers, Life of Pi has caught fire with multiple audience segments, including Ang Lee fans, 3D movie fans and, perhaps most importantly, sophisticated moviegoers who appreciate Pi’s symbolism and its exploration of weighty topics like faith and religion. China’s social media sphere has positively lit up with speculation about such topics as the metaphorical significance of the film’s carnivorous island, and its philosophical musings about the subjective nature of storytelling. Three weeks after its debut Life of Pi has grossed nearly $70 million in China—$9 million more than it has earned in North America. It should wind up at around $95 million when SARFT’s regulators pull it from theaters after its sanctioned 30 day run. If—and this seems unlikely—SARFT allows the picture a 2-week extension, it could surpass Painted Skin: Resurrection to become the mainland’s second highest grosser this year after Titanic 3D. Pi’s success has not only dealt a serious blow to director Feng Xiaogang’s film Back to 1942 (not to mention his stature in China’s film industry), but it has also thrown a wrench in SARFT’s hard fought schemes to keep the market share of foreign films below 50 percent in 2012. Pi will outgross SARFT’s initial estimates by about $70 million, thus tipping the market share balance in favor of imports, much to the dismay of China’s bureaucrats who are responsible for market share manipulation . If Back to 1942 manages a decent hold and if Jackie Chan’s Chinese Zodiac performs at or near expectations, the mainland’s total 2012 gross could approach $2.6 billion. That would represent a 29 percent increase over last year’s total, another record year for the PRC and another step closer to catching up with the $10+ billion North American market. This entry was posted in Box Office Reports and tagged Ang Lee, Back to 1942, Chinese Zodiac, Feng Xiaogang, Jackie Chan, Life of Pi, Painted Skin: Resurrection, Rob Cain, Robert Cain, SARFT, Sina Weibo, Titanic 3D by chinafilmbiz. Bookmark the permalink.